Dr. Timothy LeMieur has completed many courses in minimally invasive surgery including those in laparoscopic gastric bypass, adjustable laparoscopic banding, minimally invasive approaches in surgical oncology and laparoscopic gastric fundoplication. 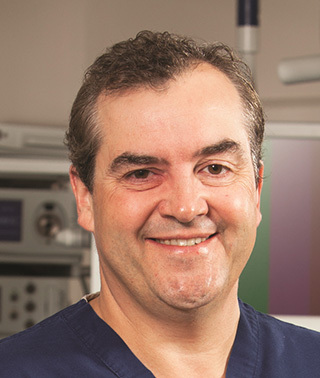 He is a partner for the Minnesota Institute for Minimally Invasive Surgery (MIMIS) and has taught courses in minimally invasive techniques to surgeons from around Minnesota. He is a reflux specialist with the Minnesota Reflux and Heartburn Center at Riverwood Healthcare Center in Aitkin and Cuyuna Regional Medical Center in Crosby. He is a Fellow of the American College of Surgeons and serves on the board of the Minnesota Surgical Society. In October 2005, Dr. LeMieur was appointed by the Minnesota Department of Health to the State Trauma Advisory Council. He is Past President of the Hitchcock Surgical Society and served as National Honorary Chair of the Physicians Advisory Board in 2003. In 2000, Dr. LeMieur was named as one of the Outstanding Young Surgeons in Minnesota and was appointed to serve on the Young Surgeons Committee for the American College of Surgeons. He is a Clinical Anatomy Instructor at the University of Minnesota Duluth Medical School. Dr. LeMieur is a published author of numerous papers and abstracts and has presented his work at national and international conferences. Dr. LeMieur gives annual presentations to AORN and other nursing organizations and serves as a medical education adviser to paraprofessionals throughout Minnesota.